Given our current lifestyles, we all spend almost 80% of my time either in traffic or at workplace and barely any time at home. As we won’t be around all the time, security altogether is a major concern. Though a majority of us live in apartment complexes that come with sophisticated security facilities, it may not be enough to monitor what happens inside the walls of your home. N Not just to catch hold of intruders, a security monitor is imperative when there’s an elderly parent or a child at home. There are many smart home security solutions like a baby monitor, smart lock, etc. 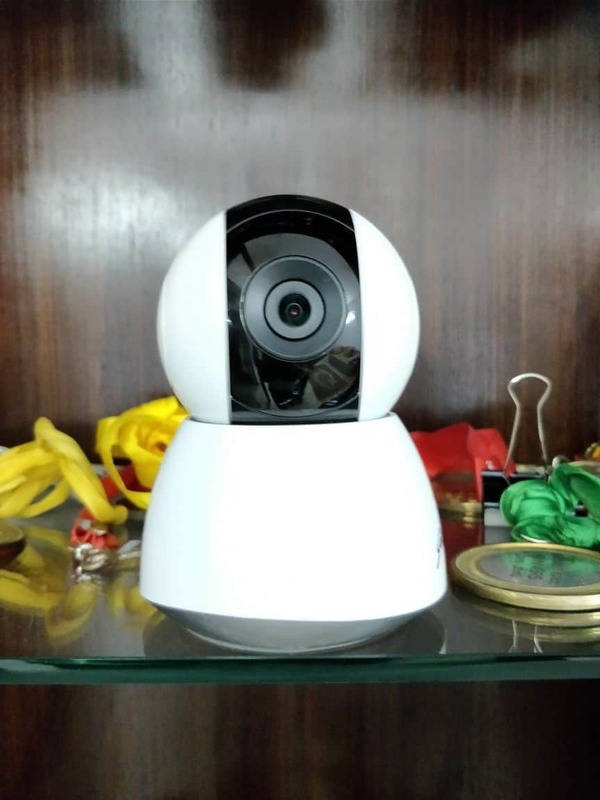 available in the market, but not all of them satisfy our requirements – and hence we took a look at the recently launched home camera – Godrej Eve PT. Godrej Eve PT Review – Perfect? Every metropolitan city dweller lives with a constant paranoia about home security as we are increasingly isolated from the neighborhood, forcing ourselves to live in our own cocoon (Or, is it just me?!) Nothing that happens outside the house (even to our immediate neighbors) comes to our attention. Times like these, having a security camera which can live-feed in real time to our mobile phone is a blessing. The latest smart home camera from Godrej does just what you need. On the design front, there are no complaints – It is compact and light-weight. It comes with mountable screw options as well – so you can put up the Eve PT absolutely anywhere you’d like. The head of the camera is tiltable (through the app) up to 90 degrees and pan till a complete 355 degrees to capture all that it can. 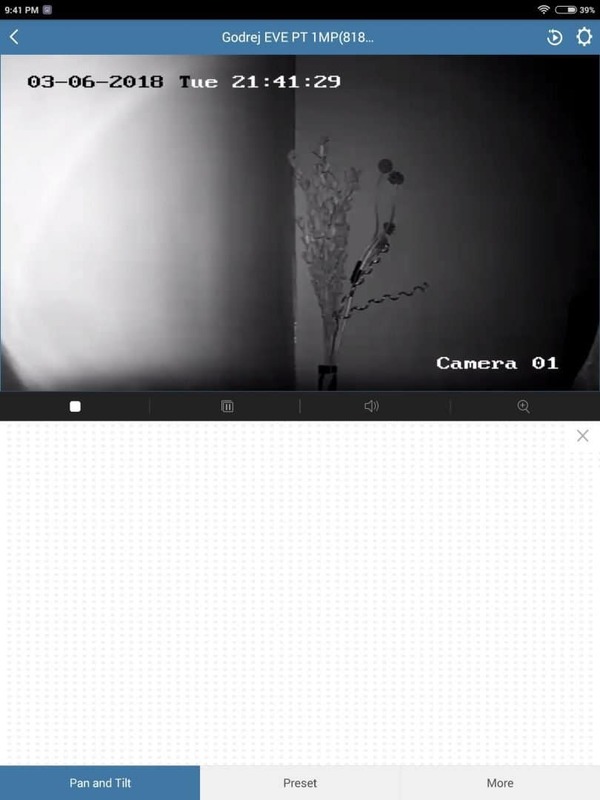 The model that we tested out has a 2MP Wi-Fi IR camera – there is a 1MP variant as well. There’s a status indicator on the front which blinks when the camera is ready to capture and the speaker is at the back of the device. IR light sits right on the lens and the mic sits right below the lens. The memory card units sit at the back as well. The camera needs to be plugged into a power source constantly thorough a Type-C cable. Right next to the USB port is an ethernet port, for case-to-case usage. The design is kept in a way that the set-up efforts are absolutely minimal. 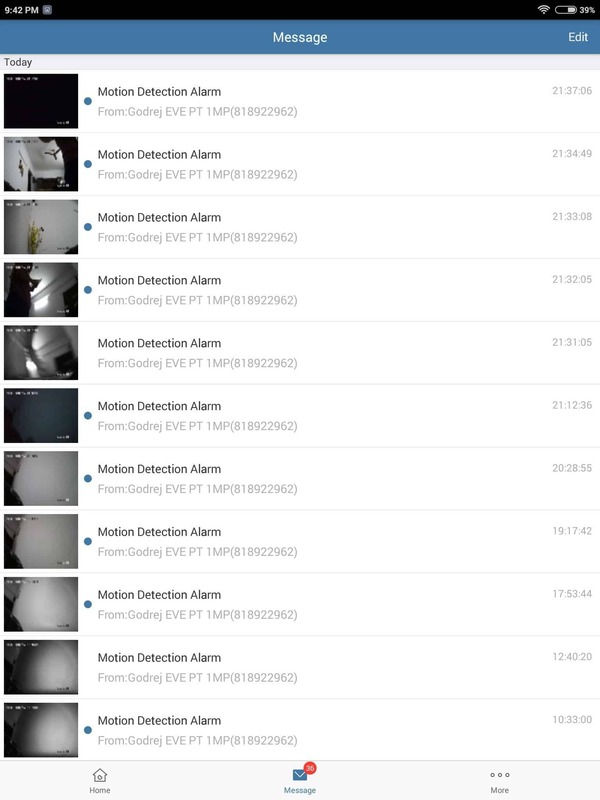 You set up the camera, download the EVE-PT app, connect them both to your Wi-Fi, pair your phone to them and you’re good to go. The factors that have kept the Indian consumer away from security cameras besides the setup cost and time, is the storage required. Where do I keep the backups? Godrej has definitely played that card well by integrating a memory card slot that can host a 128GB storage. Contrary to the age-old CCTV camera, Eve-PT detects movement and stores only that. The Godrej Eve PT app has minimal, to-the-point features. You can control the angle of the camera – tilt it, pan and zoom, flip it – whatever you’d like. You can even set up to 999 preset angles – if you call the current angle 007 and you only need to enter 007 the next time you want to get there – no pan and tilt required. You can capture a video, a photo, play and pause as well. If you’d like to have multiple cameras installed, you can view all of them in the app in 4/6/9 squares- as you like it. The part I loved the most is the two-way voice communication. If you’d to list down the use cases for the camera, you’d immediately think of kids, elderly people, patients who are bedridden at home. With that being the case, the fact that you can communicate two way with voice comes in really handy. In case you are not available or you’d like to share the screen with somebody, there is an option to do that in the app as well. At any point in time, for you to have a look at the previously captured videos/photos, open a connected device and open the gallery in the app. Push notifications are sent for any motion detected. (Yes you can disable them as and when required). On the whole, Godrej Eve PT is an easy to use a smart home security solution. With the easy set-up and inbuilt memory, Godrej has cracked the code for this ball game. With the 2MP model priced at INR 9,999 and 1MP model priced at INR 7,999, it definitely is a reliable, simple and affordable home security solution for everyone. With the 2MP model priced at INR 9,999 and 1MP model priced at INR 7,999, it definitely is a reliable, simple and affordable home security solution for everyone. Previous articleVivo Revealed the Apex Concept Phone With True Bezel-Less Display, Pop-Up Selfie Camera and More! But Does it make it an Innovative Company? Next articleMDrill One: A new microphone aimed towards professionals who are too picky?